The Apartments (アパート) is an area that resembles an apartment building. This area does not contain any effects. The Apartments look fairly ordinary, except for some black and orange writings covering some walls and floors, and several blood splatters. A couple of humans used to inhabit this area in the older versions of .flow, but the recent version contains only a jelly creature and a giant eye. 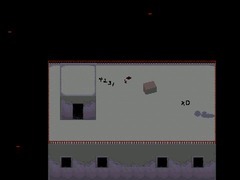 This area can be accessed by going down the stairs of a small building in the Utility Pole World, and the player will end up in a room with an elevator. 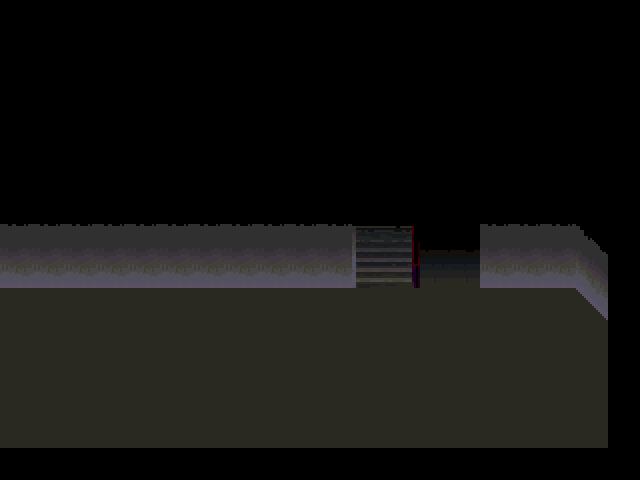 This elevator leads to the Submarine Corridors, and by going to the right, below the stairs, the player will arrive to the hallway, which contains two doors. 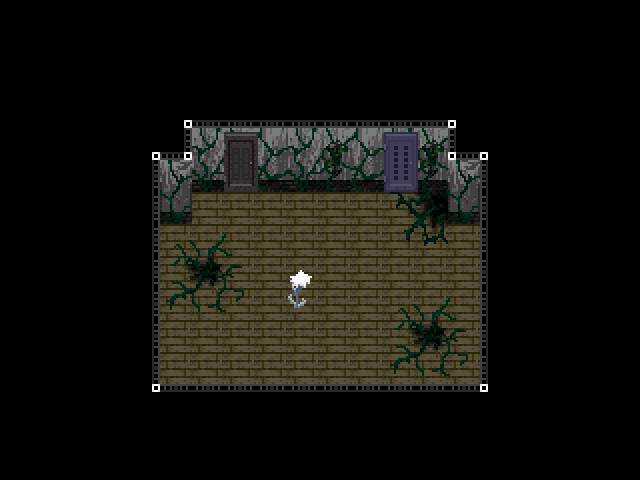 The closest one leads to a room overgrown with plants, which has a single white flower and a door that leads to the Snow World. The second door can not be opened. 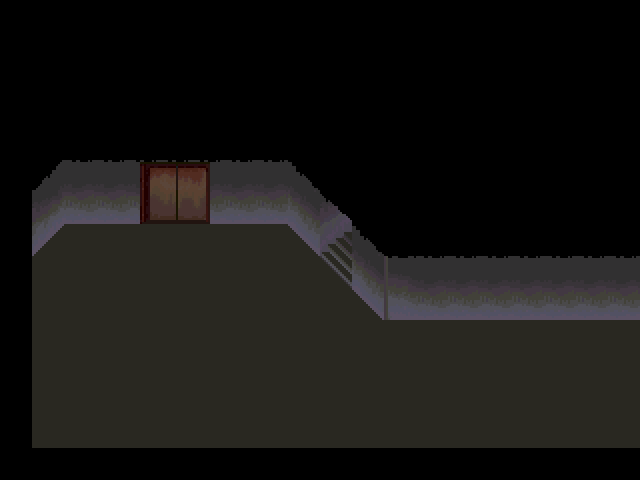 By going further to the right in the hallway, the player will arrive at a small room at the bottom of a stairway. 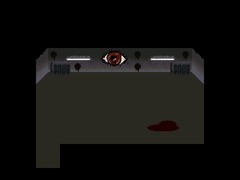 It is possible to go up to the right of the stairs, which leads to the Eye room. This room contains a drawing of an eye, which can be hit with Iron Pipe, resulting in the change of its appearance. The eye also blinks when the player interacts with it with the Mono Eye effect equipped. 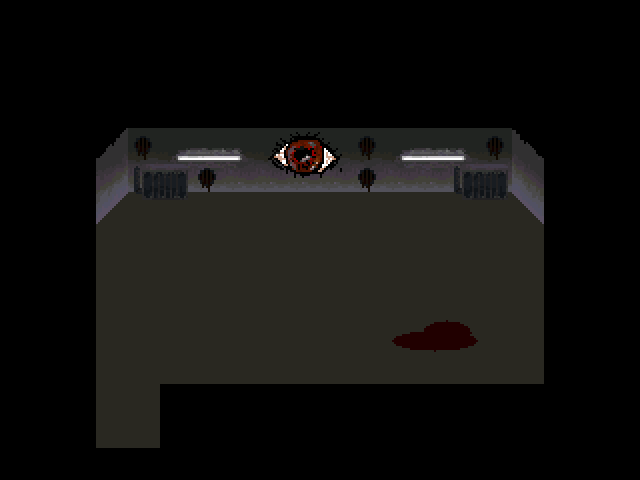 The Eye room contains a single Fetus when it is visited by Rust. 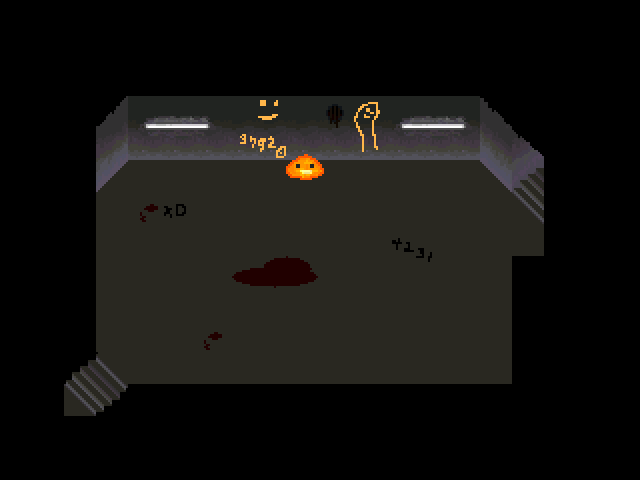 The stairs lead the player to a small room which contains several orange and black drawings, some blood splatters, and an orange jelly. The jelly behaves like any other NPC, and reacts appropriately to the Iron Pipe, Whistle and Handgun effects. Proceeding up the stairs from this room leads to the rooftop. The rooftop contains a couple of black writings, some splatters, and a spinning grey block that teleports the player to the Cloud World upon interacting with it. The minor human NPCs in this area were a wandering brown haired person (version 0.7 and older) and someone sleeping in a bed (versions 0.8 and 0.9), but in version 0.15 they were removed from the game. 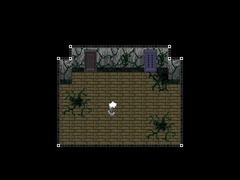 In version 0.10, most of the doors became either nonexistent or locked, except for the one that leads to the Snow World.